aimless by vocation, he would wake early to have more time to do nothing, and he nurtured his obsession with one day owning an American jeep – a GrandCherokee; his friends baptised him ‘Sage of the GrandCherokee’ and it quickly got shortened to SageOfTheKee. Translated by Ana Fletcher from the novel Os transparantes (The Transparent Ones). Reproduced by kind permission of Mertin Witt Literarische Agentur. 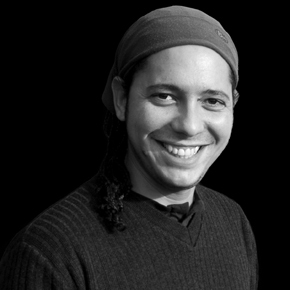 Ondjaki was born in Luanda in 1977 and is one of the most celebrated young Portuguese-language writers in Africa. Now living in Rio de Janeiro, he has published over a dozen books, including collections of poetry, children’s stories and novels. 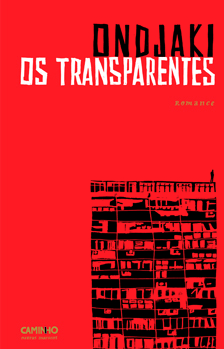 Os transparentes, recently published in Portugal and Brazil, and forthcoming in Argentina, Mexico, Germany and France, has just been awarded the 2013 Saramago Prize. Ana Fletcher is a translator and editor based in Rio de Janeiro. She translates from Portuguese and Spanish, and her translations have been published in Granta and Machado de Assis magazines. This extract is part of a longer sample originally translated for the And Other Stories Portuguese reading group. Read more.